"Ikiikii Kayo Juku" which started as a local program in Tokai district in 2005 also has been 14 years since the start of broadcasting. 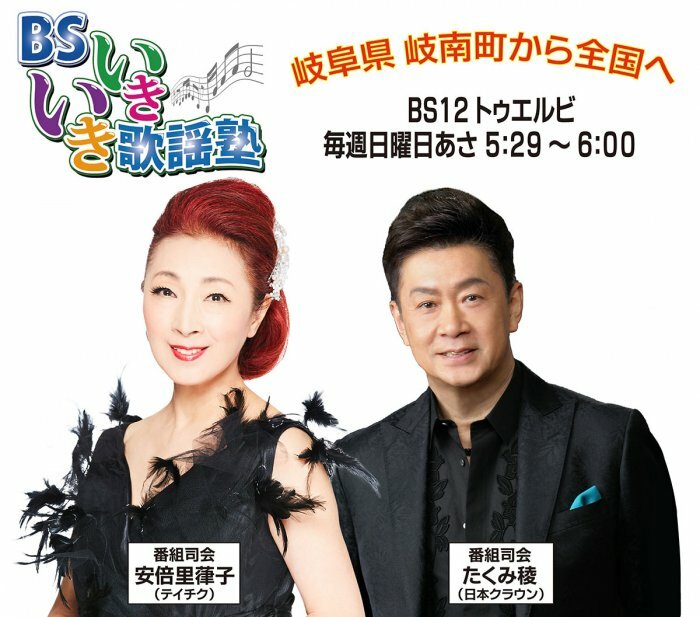 Today as one of signage programs of satellite broadcasting (BS 12), the title has also changed its name as "BS Ikiiki Kyosaku Juku", and has been reborn as the only nationwide broadcasting from the Tokai area. 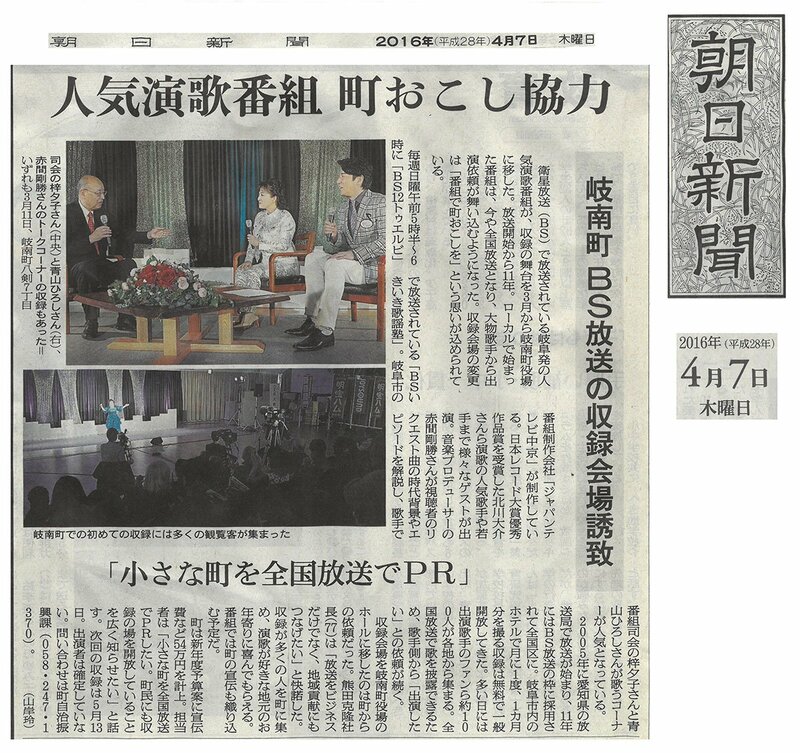 Broadcasting started on NGN television whose headquarters is located in Hawaii and Honolulu from 4 years ago, and it is popular among Nikkei society. We will also actively advance overseas. 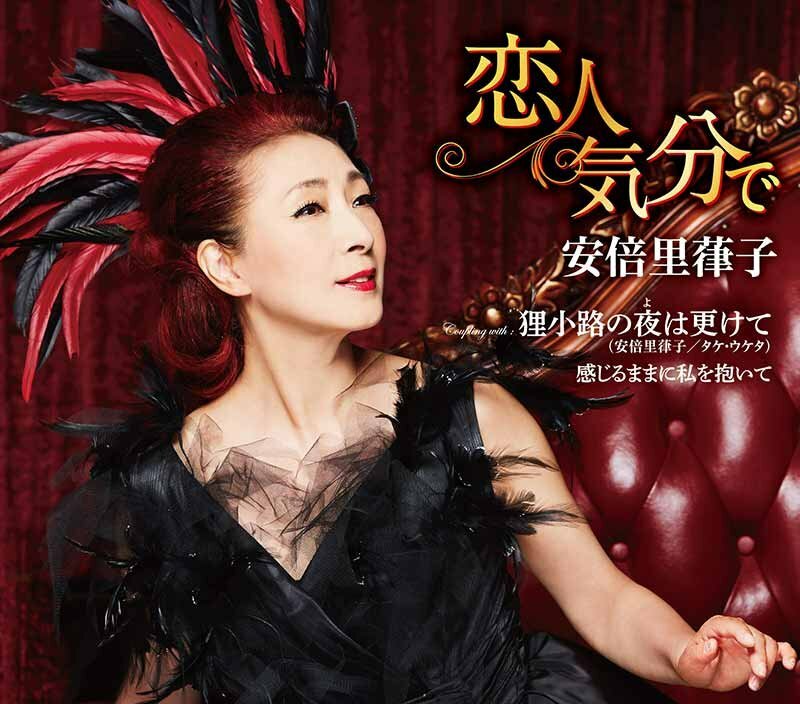 Programs consist of timely collaboration with popular singers, veteran singers, topical new singers, local singers who are active in rural areas, and venues are also part of Ginan Town Central Public Hall Hall of Ginnan cho, Gifu Prefecture And HOTEL Grand Vert GIZAN in Gifu city separately, the release day is released free and pleased with Kayou fans. Another feature of the program is "famous music corner of memories". This is a member of the Kumada producer, a judge of the Japan Record Award, two former executives of King Records, former Mr. Takekatsu Akama (commentator) are specialty corners that have been making over 13 years since the start of the program. 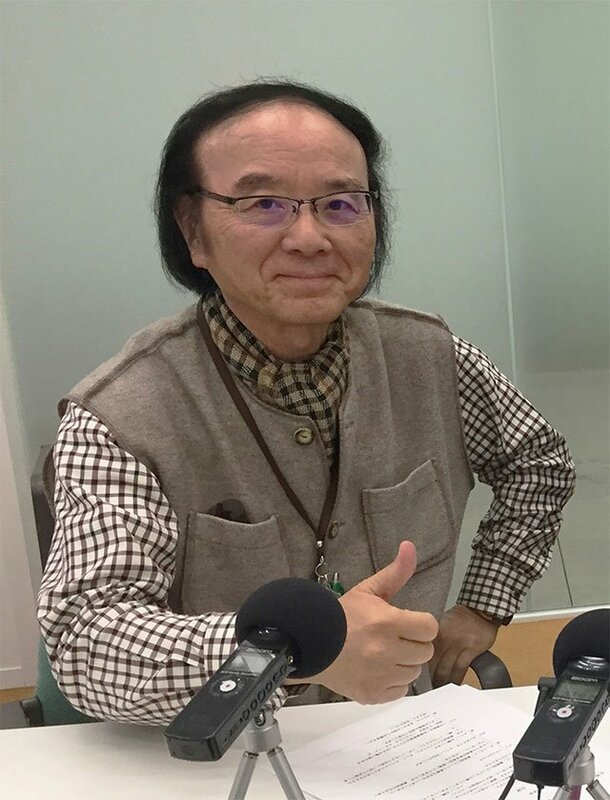 Since Mr. Akama suddenly passed last autumn, with the cooperation of "Endo Real Kayou Music Promotion Foundation", it was renewed to a corner introducing the songs centered on Endo real work by a new commentator. A commentary on "Murata Hideo, Hatakeyama Midori, Hosokawa Takashi etc songwriter world singer-songwriter · Ariake Ichiro" and "Enka's Legend · Kasuga Hachiro have a father-in-law and bop from actor · singer Company) Director who has served as secretary general of the Japan Singer Association for many years, Taisuke Watanabe who committed Mr. Akama Takekatsu to succeed "is set aside as a commentator.